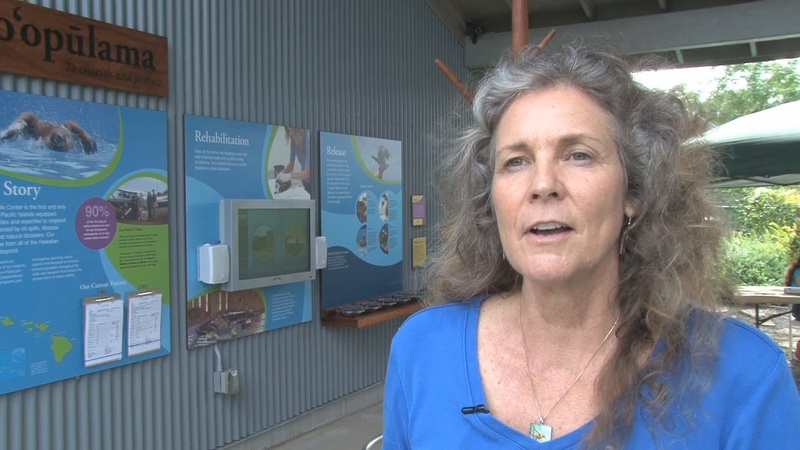 KAPA‘AU (BIVN) - The Hawai‘i Wildlife Center's new interactive space focuses on native wildlife rehabilitation, conservation, biology, and wildlife medicine. 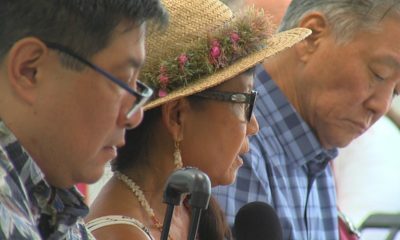 Kahu Kealoha Sugiyama blessed the new Ho‘opūlama Science and Discovery Center at the Hawai‘i Wildlife Center on Saturday. 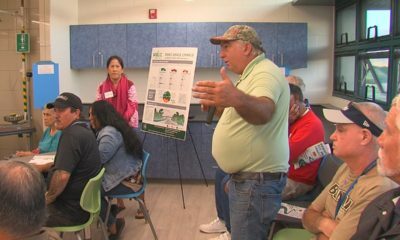 KAPA‘AU, Hawaii – North Kohala celebrated the opening of the Ho‘opūlama Science and Discovery Center at the Hawai‘i Wildlife Center on Saturday. The new interactive space focuses on native wildlife rehabilitation, conservation, biology, and wildlife medicine. 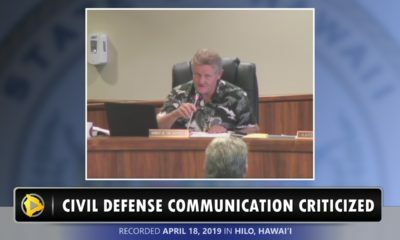 All of which are practices upheld by the Hawai‘i Wildlife Center hospital facility in Kapa‘au, which specializes in the care and protection of native Hawaiian birds and the Hawaiian hoary bat. 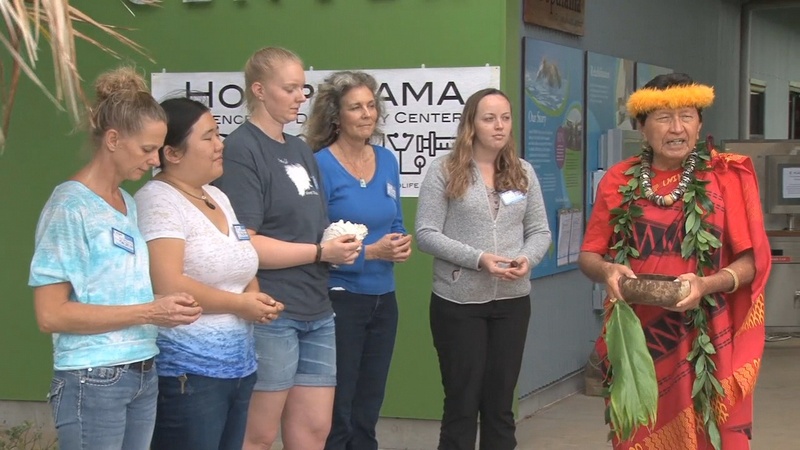 The Ho‘opūlama Science and Discovery Center was blessed before the opening by Kahu Kealoha Sugiyama and included a performance by Halau Na Kupuna O Kohala. Crafts and art projects were on display afterwards. 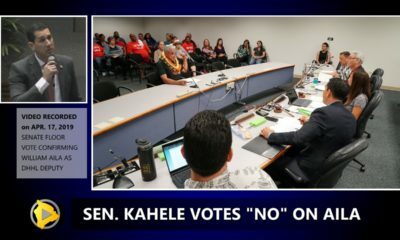 The Ho‘opūlama Project began in 2013. 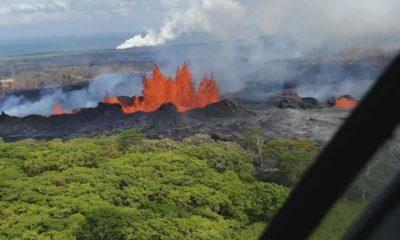 A master plan to display public exhibits at HWC was funded by grants from the Hawai‛i Tourism Authority, the Atherton Family Foundation, and the State of Hawai‘i. According to HWC, fabrication of the fist phase of exhibits began in mid-2016. Included in phase one is a exhibit wall that shares the story of the Hawai‘i Wildlife Center and takes visitors through the complex process of wildlife rehabilitation – including intake exams, stabilization, diet preparation, physical therapy, and decontamination. The exhibit wall also features an interactive touchscreen monitor that takes the user through a virtual tour of the Hawai‘i Wildlife Center wildlife hospital and allows visitors to watch the live feeds from the wildlife cameras in the HWC hospital facility as well as videos of past patients and releases. Also opening are exhibits on native Hawaiian honeycreeper evolution and adaptation, Native or Non-native bird discovery, Wildlife Patient Discovery, and ‘Aumakua. Also featured in the new exhibits are bird sculptures by master craftsman Haruo Uchiyama. Mr. Uchiyama is world-renowned for his extremely detailed and realistic bird carvings and HWC staff members in charge of the project are thrilled to be able to incorporate his work. Nicknamed “teaching birds”, These bird sculptures are not only works of art, they are ambassadors for native species as well as teachers of evolution and adaptation in our islands. Generous teaching bird sponsors, who have contributed to the production and installation of individual bird models, have made many of the teaching birds in the new exhibits possible. Teaching bird sponsors include generous individuals, as well as the Hawai‘i Electric Light Company and Clean Islands Council. Students from Kim Manuel’s 7th grade class from West Hawai‘i Explorations Academy helped test out the new exhibits before the grand opening. The Ho‘opūlama Science and Discovery Center will be opened to the public Tuesday through Saturday from 9am to 3pm. Admission is free. 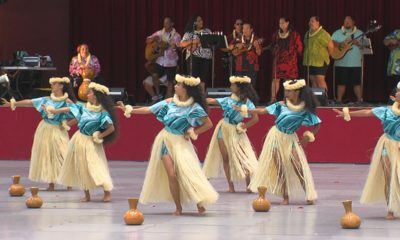 The November 2011 opening of the Hawaii Wildlife Center, 5 years ago. Video by David Corrigan, voice of Stephanie Salazar.